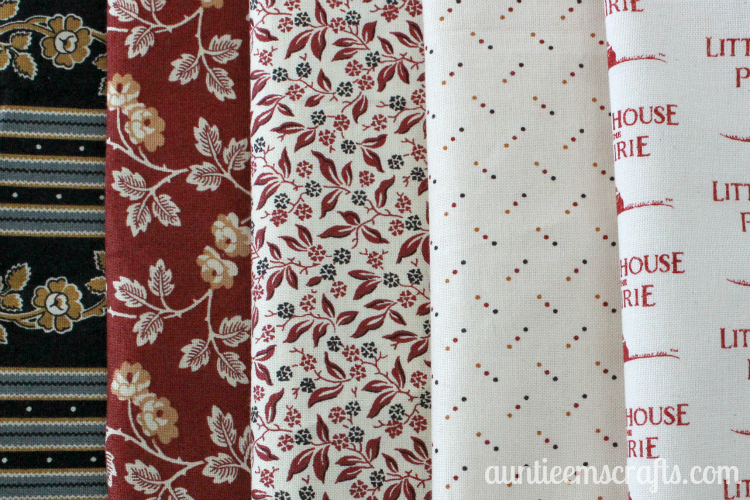 I received a small fat quarter bundle from Andover Fabrics last month with their new line Little House on the Prairie®. I wanted to make something traditional with it, given the color pallet. 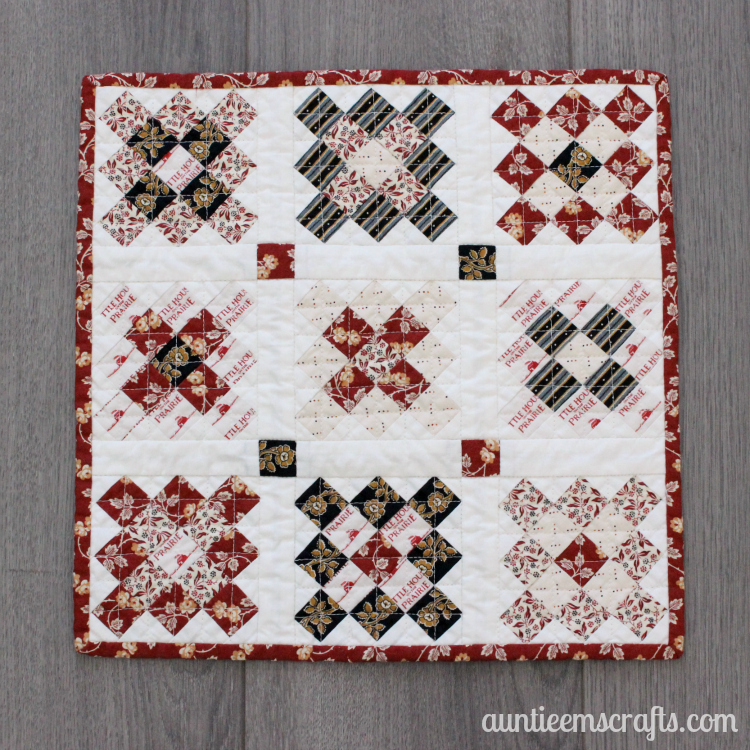 I used the five fabrics from the Little House on the Prairie® line, along with solid Vintage White from Riley Blake as my background print, to make a granny square mini quilt. Some of the LHOTP fabrics needed to be fussy cut to give me the look I desired. The finished size of one block is 4″ (4.5″ unfinished) . So tiny! You can make your own blocks with this tutorial. 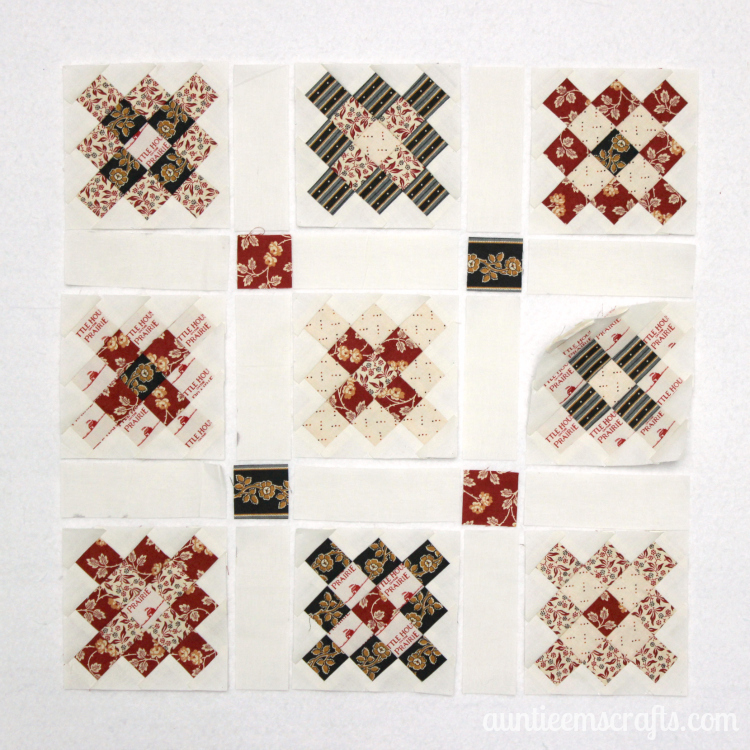 Fast forward to nine completed mini granny square blocks… I used my design board to arrange the blocks in my desired pattern. 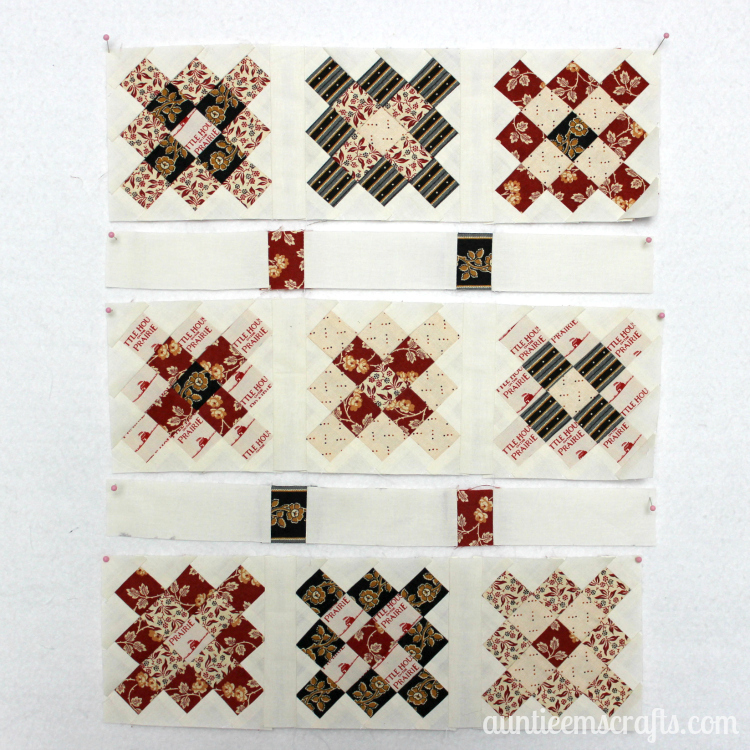 Cut twelve sashing pieces from your background fabric to 1.5″ x 4.5″ and four cornerstones from your main fabrics to 1.5″ x 1.5″. Sorry for the dark-ish photos. I was trying to hurry because the baby is coming soon! Assemble the pieces by row, then assemble the rows together. 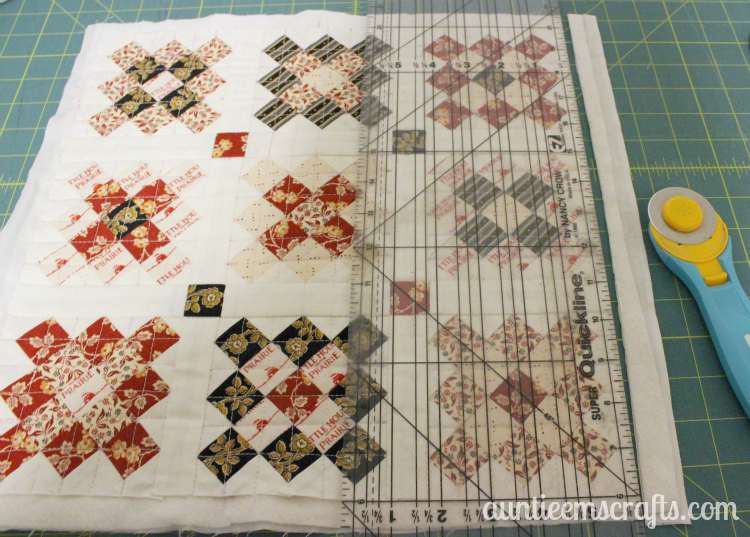 Join your quilt top with a 15″ (ish) square piece of batting and backing using basting spray. Quilt the project as desired. Trim the edges. Create and add binding. If you need help with this step, I have a tutorial with lots of photos here. I chose option 2 to hand stitch the binding to the back of this mini quilt. I washed the quilt before hanging it, simply because the disappearing ink didn’t want to disappear. 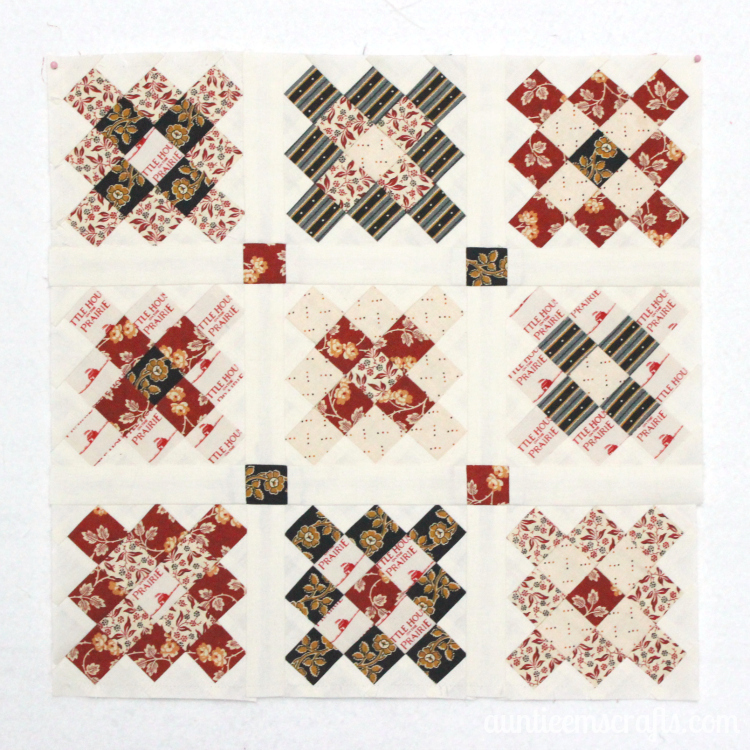 If you are exchanging your mini quilt for a swap, you may want to wash it on a short cycle with some Retayne or color catcher to make sure the colors to not bleed. Air dry, or dry on low for 20 minutes. The last step is to hang that baby up and admire your work! 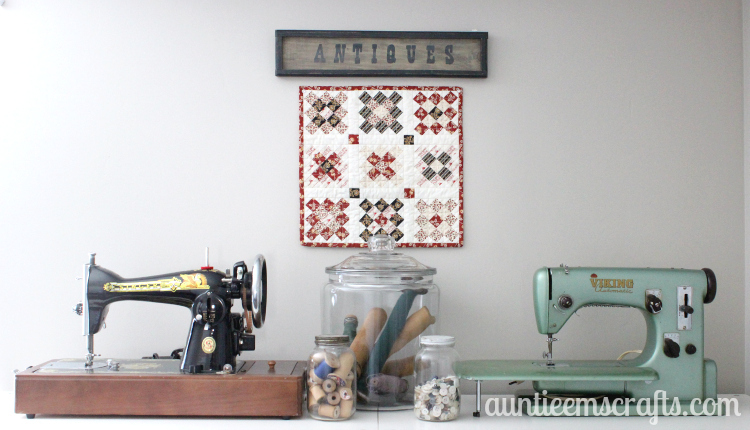 It looks great with my antique machines and other sewing goodies. I think I am going to need a few more minis on this wall! If you like making these cute little blocks, try these ideas too: granny square pincushion, granny square ornament and coaster. 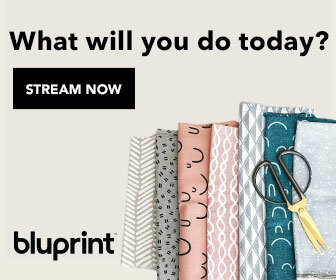 Do you LOVE these fabrics? Click here to find this collection in a store near you. You can also enter to win a bundle of Little House on the Prairie® fabric by entering the rafflecopter giveaway on the official LHOTP website or right here. I HAVE LOVED LITTLE HOUSE ON THE PRAIRIE SINCE I WAS 10 YEARS OLD (I’M 51 NOW)….THE NEW FABRICS ARE BEAUTIFUL! I grew up learning of love and lessons shared between the characters on Little House On The Prairie! 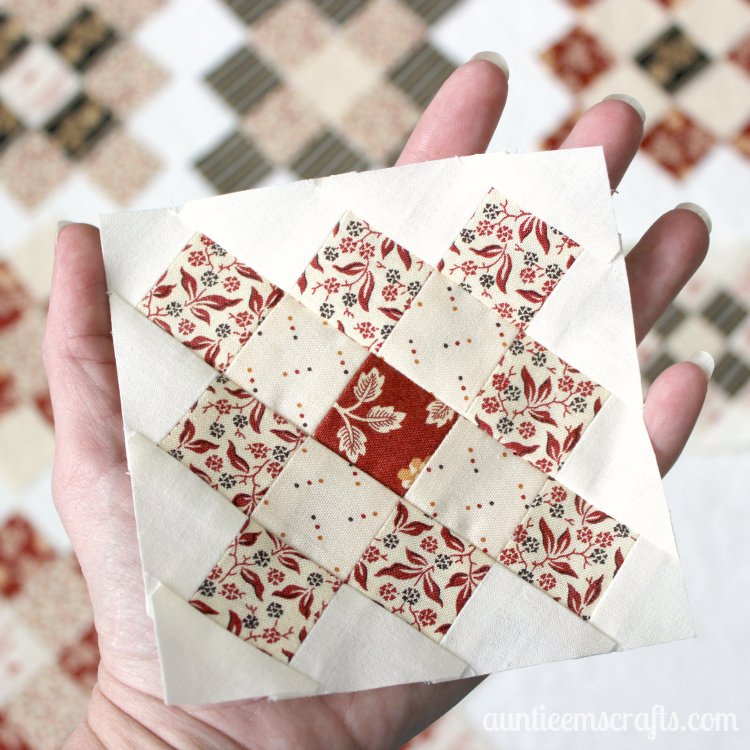 Loved Little House on the Prairie and also love the fabric! I was just watching last night. It was great! Always loved what Little House on the Prairie stood for. And I love the quilt fabric. 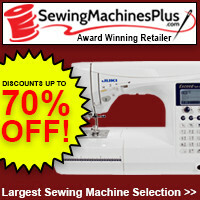 The fabrics are great! Almost as good as the show 🙂 I’m fairly new at quilting, but have watched the show for many…..many years. Would love to have set! I bet that will be adorable!